Pitch Box is an online, “on-demand” service provider that only works with residential landscape businesses owners who design or design & build landscape projects. Their specialties lie in translating sketch plans into industry-leading 3D visualizations and 2D CAD drawings. Do an extensive research to understand which strategies and technologies to use to perfectly craft the new website based on Pitch Box's marketing and advertising goals. 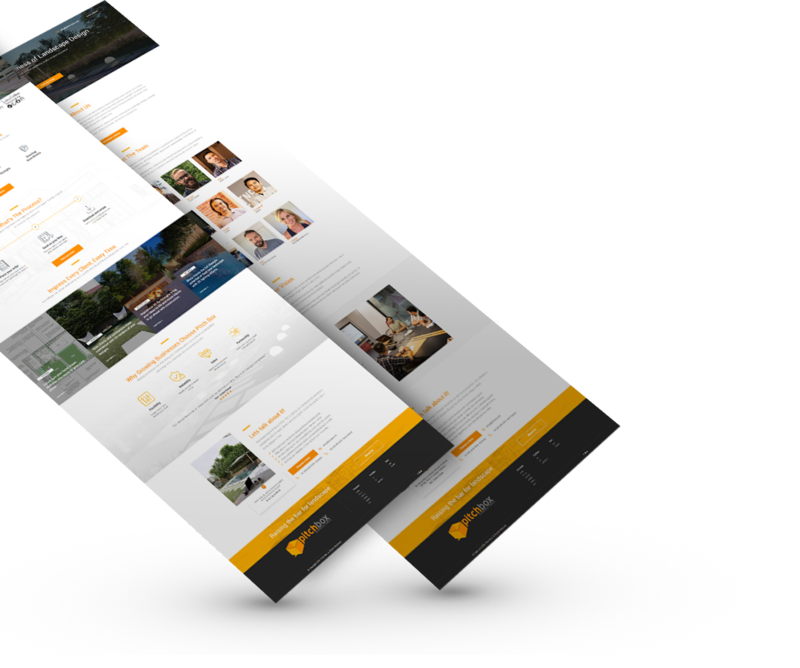 Pitch Box’s then existing site featured heavy graphics, inefficient user experience and insufficient functionalities to cater to the needs of their target market. As an artist himself, Shah Turner wanted to update his site to have a cleaner and more professional outlook that would provide enough credibility at a quick overview. 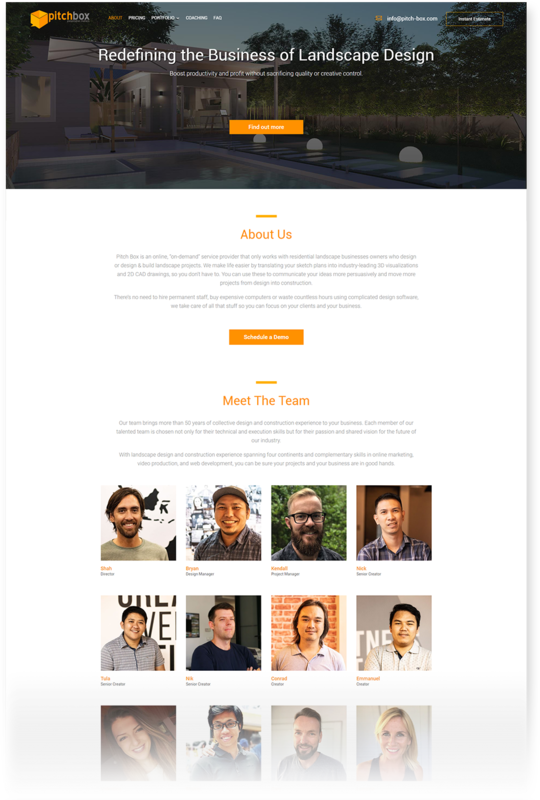 Working hand in hand with Pitch Box’s goals and marketing strategies, we redefined the site structure and introduced hero banners to feature their portfolio. 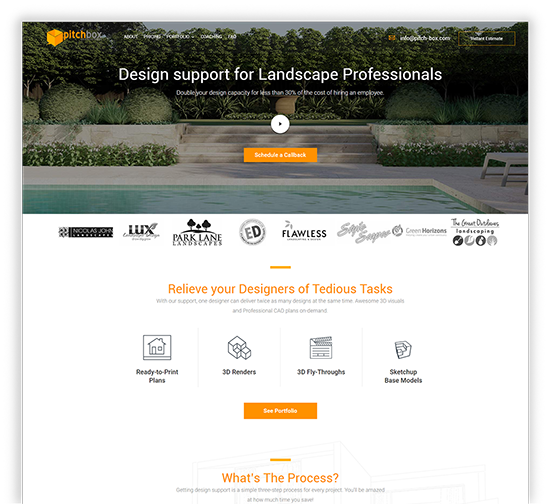 In line with their goal to increase user engagement and credibility factor, we have also added some case studies and 2d plans explaining what their business is all about and how they’re a game-changer for most of their business partners. 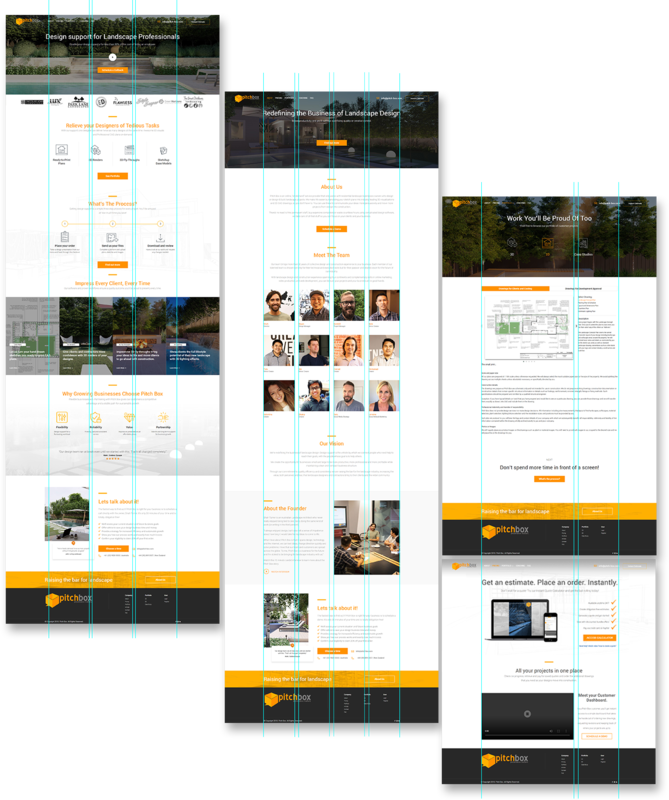 As opposed to the previous webdesign employed by Pitch Box, the improved UI/UX helps feature the essential sections better while not taking a huge toll on the page speed. Compelling graphics and eye-catchy headlines were used to garner enough attention. Furthermore, sections are effectively laid out to properly guide the viewer. Catering to the lifestyle of being on the go, Pitch Box has made it a point to make every section responsive. With the site accommodating any device, this opens up to countless possibilities. Ultimately, the content is the main highlight of most grandly designed websites. Despite the massive graphic usages, Pitch Box was laid out in the manner that would educate the viewer visually and contextually. While recent design trends tend to go out of the box, Pitchbox’s nature, on the other hand, is something that should conform to standardized forms to highlight the fact that its work process is also structured and precise. This not only allows the design to allude to the brand but also underlines the technical feasibility for the long term.